BEL Ghaziabad Trade Apprentice Recruitment 2019 - Government Jobs, Sarkari Naukri, Sarkari Result, Admissions, Rojgar, Exams Alerts. 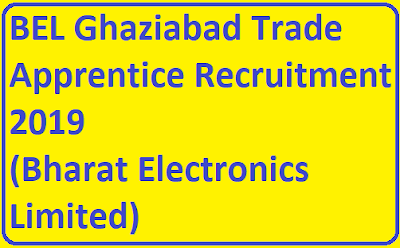 Candidates having ITI in relevant trade from NCVT approved institute will be considered for this recruitment. Candidates can apply through link provided below or they can also apply through official site of the BHEL before 22/April/2019..
Note– Candidates are suggested to read the official notification before applying.